Some of the best art appears in unexpected places. 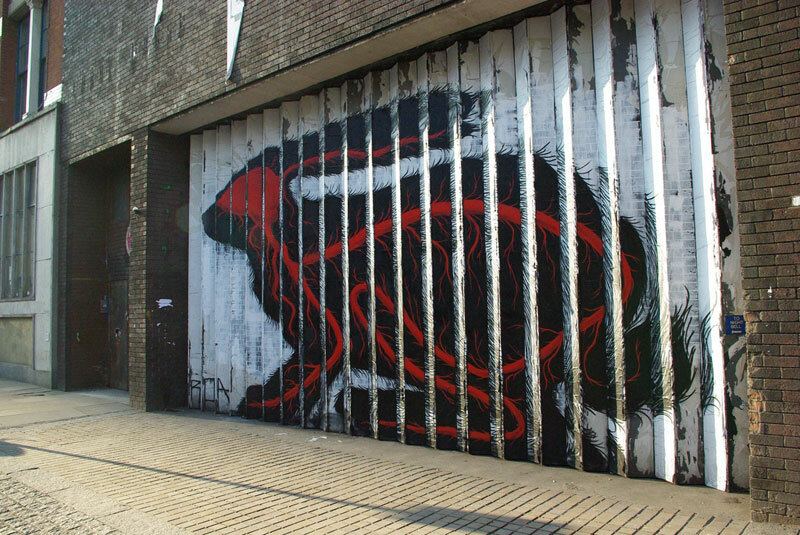 Street art can brighten up otherwise gray and dreary areas, and bring life to the walls of a city’s concrete jungle. 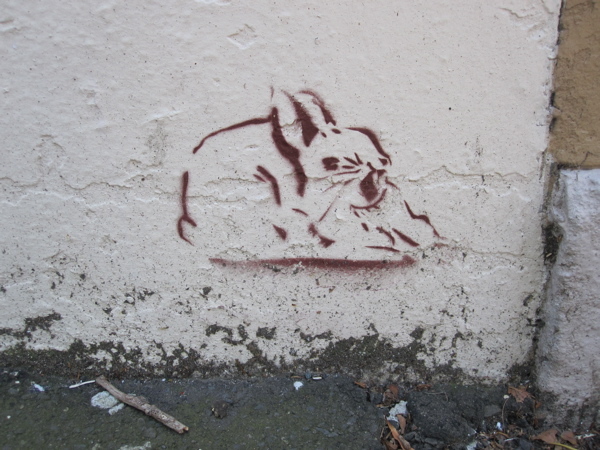 Sometimes, that art takes on a twitchy-nosed theme. 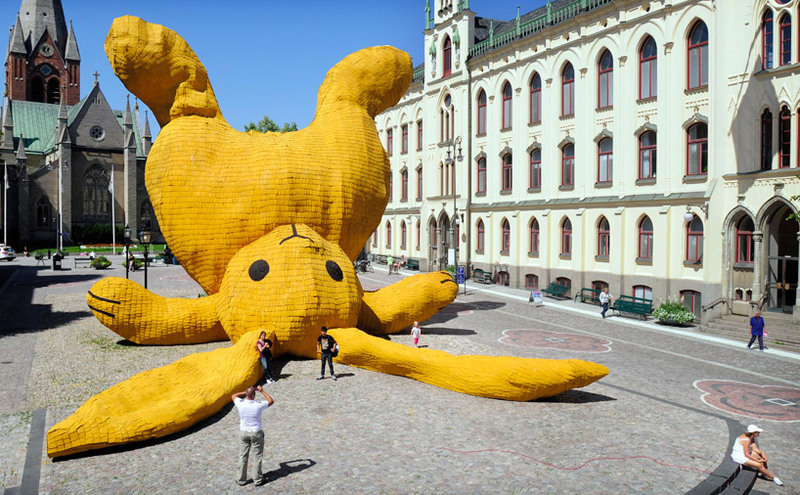 We’ve rounded up some awesome bunny street art spotted around the world: did we miss any? Let us know! 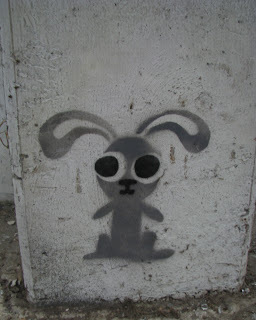 This entry was posted in Bun Fun, Lists and tagged bunny street art, graffiti, rabbit street art, street art on May 14, 2015 by BunnySlippers. This entry was posted in BunnySlippers.com, Lists on May 23, 2014 by BunnySlippers. 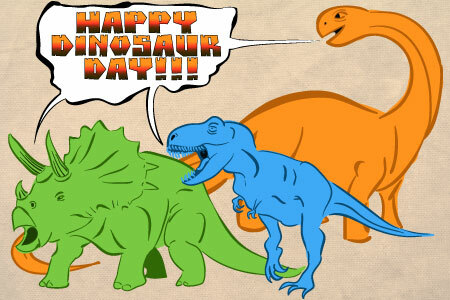 Today is Dinosaur Day! 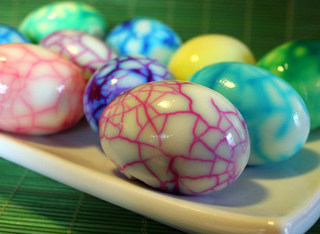 In honor of our prehistoric friends, we’ve gathered up some great dinosaur-themed activities and recipes that are perfect for parties as well as every day. Whether you’re an herbivore or a carnivore, all dinosaurs need to eat. Nibble on the snacks below and some dinosaur shaped chicken nuggets! Does your house need a little prehistoric flair? 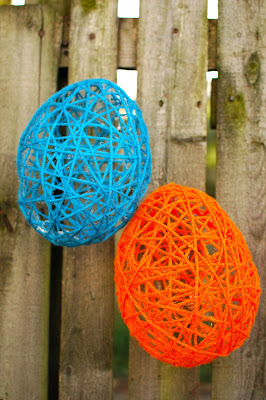 Check out these crafts for some ideas to decorate your nest. Want to dress the part? Check out the links below for some DIY tutorials to enhance your rawr-drobe. Don’t forget your feet! Stomp around in a pair of our dinosaur slippers for the perfect finishing touch. This entry was posted in Lists on May 15, 2014 by BunnySlippers. This entry was posted in BunnySlippers.com, Lists and tagged Baseball Slippers on May 8, 2014 by BunnySlippers. This entry was posted in BunnySlippers.com, Lists and tagged Boy Slippers on May 2, 2014 by BunnySlippers. This entry was posted in BunnySlippers.com, Lists on April 24, 2014 by BunnySlippers. This entry was posted in BunnySlippers.com, Lists and tagged Baby Slippers, Toddler Slippers on April 11, 2014 by BunnySlippers. This entry was posted in BunnySlippers.com, Lists and tagged Countryside Slippers on April 3, 2014 by BunnySlippers. This entry was posted in BunnySlippers.com, Lists and tagged Vacation Slippers on March 28, 2014 by BunnySlippers. This entry was posted in BunnySlippers.com, Lists and tagged Spring Slippers on March 21, 2014 by BunnySlippers.